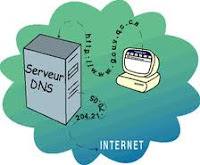 MaraDNS is a package that implements the Domain Name Service (DNS), an essential internet service. MaraDNS is open source software; this means that anyone is free to download, use, and modify the program free of charge. People like MaraDNS because it's small, lightweight, easy to set up, and remarkably secure. It's also cross platform -- the program runs both in Windows and in UNIX clones. The current stable release of MaraDNS is MaraDNS 2.0.07, released January 20, 2013. This release is available as UNIX/Windows source code (in two different compression formats) as well as a Windows binary (the win32.zip file). With this tool you can implement DNS on your own home PC running Windows or Linux.